Hi there! My name is Rose Smith and in 2000 I had a dream about starting this venture. It was not my intention at the time to commence Absolute Soul Secrets, but ‘upstairs’ has a way that influences even the most stubborn of people! I am now in my 50’s and am married, childless by choice and I love nature and all animals. I have two Great Dane cross doggies and two pussycats from the animal refuge. I am telling you this so you know I am a REAL person. I use my real name, not an alias. I own two orphaned Great Dane cross Labrador puppies, Princess Mary and Prince Frederik. When Mary Donaldson from Tasmania married Prince Frederik of Denmark, I was feeding my puppies at 2am. Their mother died during their birth, so my husband and I were on round the clock vigils for 2 hourly feeds. I had the idea that I would name my puppies in honour of the Royal wedding! Let me tell you they are true by name, having the personalities of the Danish Royals! As you can probably tell by looking at this site, I write. I have published many articles (most of them not on this site yet). I have a million interesting (at least I think they are) stories I could tell about spirit. The key question that many people ask is “Why am I here?” so here I go on my soapbox again…..
Basically we are all here to spiritually evolve and a good way to do this is to help others. I am not saying we have to ‘work our way to heaven’ because that simply isn’t true. Heaven can be a state of mind and can be here on Earth if we allow it. My two puppies have their spot in ‘heaven’ just as much as anyone else. It is a given and we are all born to it, if we choose to accept it. We are all ‘good enough’ to get there. Some people realise and some don’t, but a heavenly state of consciousness is possible for all. When we die, we go where we have already chosen to go. I have seen this several times when I have had near death experiences. At those times I have had memories of previous deaths and when the time finally comes, it is as natural and normal as breathing. I experienced recollections of ‘oh that’s right, I remember now, this is how it goes’. It is very easy, just follow the light and relax. Beings of light will come to assist. Light beings are everywhere, there are more angels on earth than in heaven! We just don’t see them in our normal conscious state. At some point in your life, you will also have to choose either the light or the dark. If you choose the light while you are still alive, death will hold no fear for you and will be much easier. If you choose the darkness, then you will have an interesting time indeed. But it’s your choice. When you die, the energy you have set in motion from your present life will continue and take you on another journey. It’s just like changing clothes and then off you go! If you don’t make a choice then you will still reap the harvest you have sown. This energetic harvest has accumulated during this lifetime and from past energetic patterns from previous lifetimes. Every thought you think, every word you say, every emotion you feel and everything you do has a cumulative effect upon you, so take care in these areas. Take control of yourself including your mind, emotions and actions for true self -mastery is the road to enlightenment. Remember the UNIVERSAL LAW of ‘what goes around comes around’. I hope this site goes part way to providing you with some enlightenment and you find heaps of insightful and helpful information within these pages. 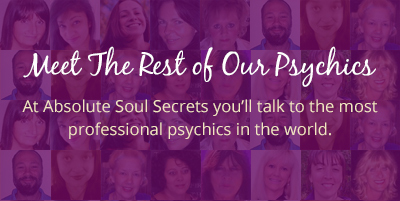 I am constantly endeavouring to find the time to update this site, so check back regularly and don’t forget to join our Soul Secrets Club for freebies and special offers. Best wishes and brightest blessings to you! Open your heart and spread some kindness wherever you can! 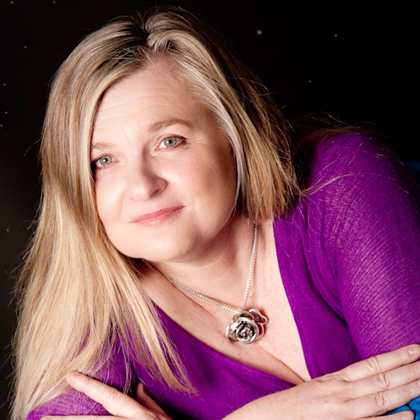 Rose Smith MBA, BA, DRM, ATMS, Double Reiki Master (Usui & Karuna), Trained Louise Hay Teacher, Licensed Pilot and Psychic Channel.